FACTORY WARRANTY M SPORT LIGHTING PKG. COLD WEATHER PKG. TECH PKG. DRIVER ASSIST PKG. PREMIUM PKG. Dealer maintained and serviced. Fully inspected. Full remaining warranty from BMW. 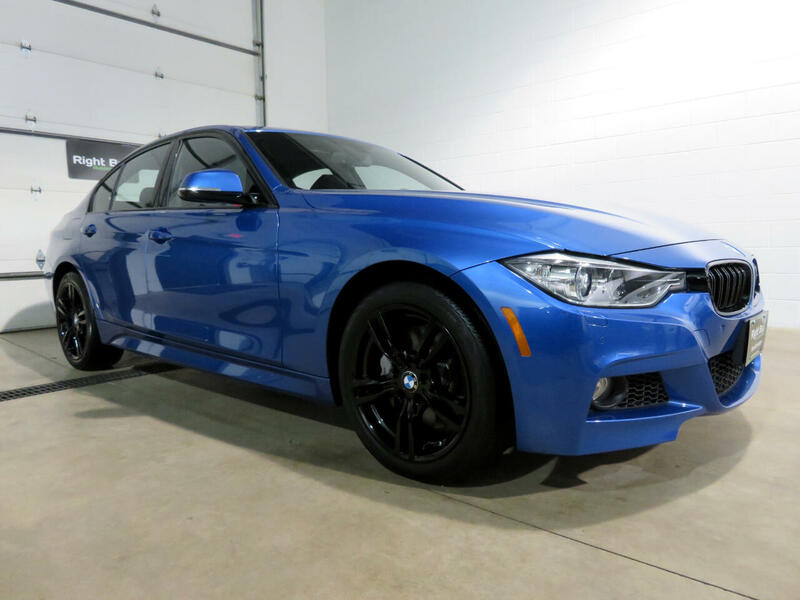 This 328i xDrive is the M Sport trim. This 328ix features the Cold Weather Package; Premium Package; Lighting Package; Technology Package and Driver Assistance Package. Some of the features included are a 240HP inline 2.0L 4 cylinder turbocharged engine mated to an 8 speed steptronic automatic transmission; leather heated power sport seats w/ memory; heated rear seats; M heated steering wheel; highlight trim finishers in pearl; anthracite wood trim; heads up display; sunroof; Navigation; enhanced Bluetooth audio/phone; premium HiFi audio; xenon headlights; adaptive light control; rear view camera; front and rear parking sensors; comfort access key less entry; rain sensing wipers; auto dimming rearview and outside mirrors; retractable headlight washers; aerodynamic kit; 18" alloy wheels all wheel drive and much more. Every vehicle at Right Buy comes with a full inspection report CarFax vehicle history report affordable extended warranty options and low rate financing options. Set an appointment to view the vehicle in our heated indoor show room. 4 YEAR 60K MILE BUMPER TO BUMPER EXTENDED WARRANTY AVAILABLE FOR $1,790 or 6 YEAR 100K MILES FOR $2,236.